The bakery is getting in on the action by introducing three flavors inspired by the show. If you're a Master of None fan, it has most likely been weeks since you binge-watched Aziz Ansari eat his way through Italy, fall head-over-heels in love with an Italian girl, and subsequently eat his way through New York. But the Emmys are looming, and the Netflix comedy's brilliantly executed second season is up for a whooping eight nominations, prompting you to mentally revisit some of its key moments (mostly revolving around food), like when Dev texts his crush a GIF of him kissing a sandwich, or when he hosts the fictional reality show Clash of the Cupcakes. In terms of the latter, Magnolia Bakery is getting in on the action by introducing three flavors inspired by the show: The Scott Thompson (a carrot cupcake topped with cream cheese icing—a reference to Carrot Top's real name), the Ode to Bey (a lemon cupcake filled with lemon curd topped with lemon meringue buttercream, a citrusy homage to the singer's latest album), and the Illuminaughty (a chocolate cupcake with vanilla mint buttercream, chocolate crisp pearls, and a piece of mint chocolate candy—no explanation, TBH), all of which will be available between August 11 and August 28 in stores and online. 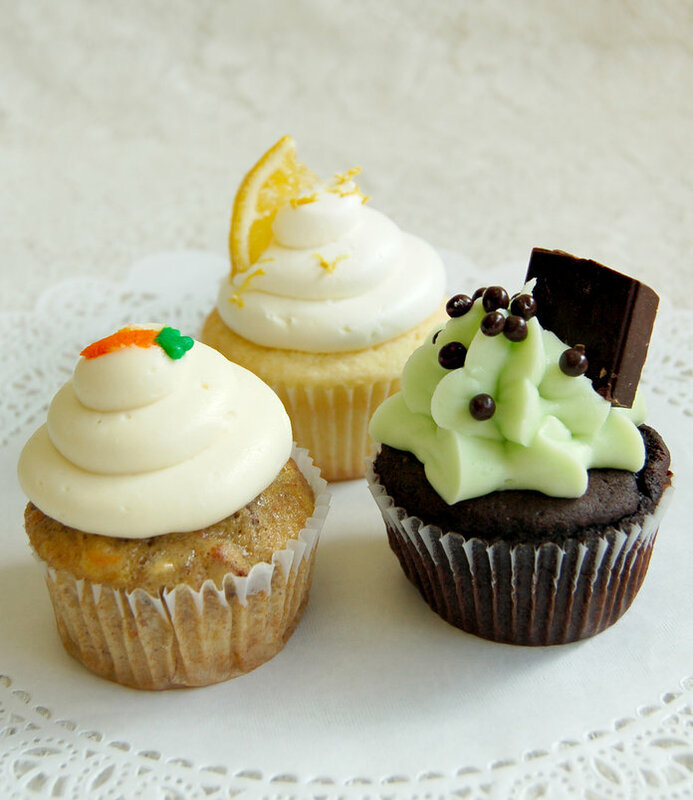 If you want to make your imminent Emmys viewing party 10x more interesting, visit magnoliabakery.com to place your order. Allora!